Iranian and Russian ecologists have announced ambitious plans to return Caspian Tigers as well as Asiatic cheetahs, which disappeared some half a century ago in their countries, to the wild. A delegation of Russian ecologists headed by Deputy Minister of Natural Resources and Ecology of the Russian Federation Sergey Donskoy arrived in Tehran a week ago to discuss avenues to reestablish the wild cats. During the meeting, the Iranian ecologists shed light on the prospect of repopulating the jungles in northern Iran with extraordinary Caspian Tiger, which became extinct over 40 years ago. This is while through modern genetic analysis it has been discovered the Caspian Tiger and the Siberian Tiger, still in existence, are separated by only one letter of genetic code. 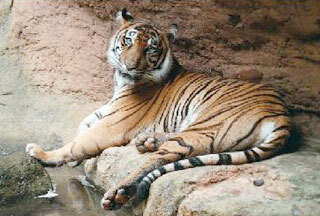 The Caspian Tiger can be reestablished by using their relative, the Siberian Tiger. Russian and international conservation groups banned hunting of tiger in 1947, but it was too late for the Caspian Tiger to make a recovery. Poaching and contributing factors wiped out the majestic cat. Conservation efforts, however, did help to protect and stabilize the Siberian Tiger. Fortunately, the subspecies commingling in the distant past will allow the Caspian Tiger to once again take its rightful place in the family tree of tigers. 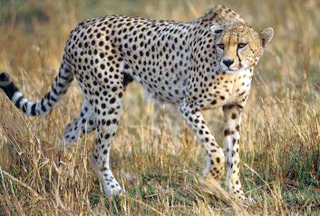 The Russian ecologist asked for Iranian assistance in revival of Asiatic cheetahs in the northern Caucasus region. Described as powerful and graceful hunters, cheetahs are the world's fastest animal and easy to train. Cheetahs were trained by ancient Persian kings, who used them to hunt gazelles. Recognizing the cats' precarious situation, Iran's Department of Environment has worked with the UN Development Program-Global Environment Facility and Wildlife Conservation Society in New York since 2001 to save the only 50 to 60 Asiatic cheetahs which live in the Dasht-e Kavir region of Iran.